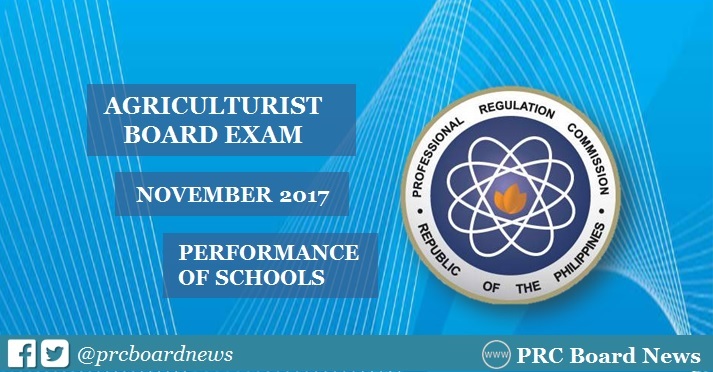 MANILA, Philippines - The Professional Regulation Commission (PRC) recognizes the top performing schools in the November 2017 Agriculturist board exam. The result was released on Thursday, December 7, 2017 or in five (5) working days after the last day of examinations. PRC administered the agriculturist board exam on Tuesday to Thursday, November 28, 29 and 30, in the cities of Manila, All Regional Offices and Zamboanga. In the April 2017 Agriculturist board exam, none of the schools qualified for the top performing list by PRC. In the October 2016 exam, University of the Philippines (UP) - Los Baños was the only top performing school with 96.83% or 122 out of 126 passed the exams. The exam results show how effectively the knowledge was learned and how to proceed with the training and what to pay much attention to.